The Sechs volt Garage Blog: How to build a "beetlebomb"
How to build a "beetlebomb"
Once upon a time...in 1960....what we consider "Old speed" was "the latest hop-up kit". 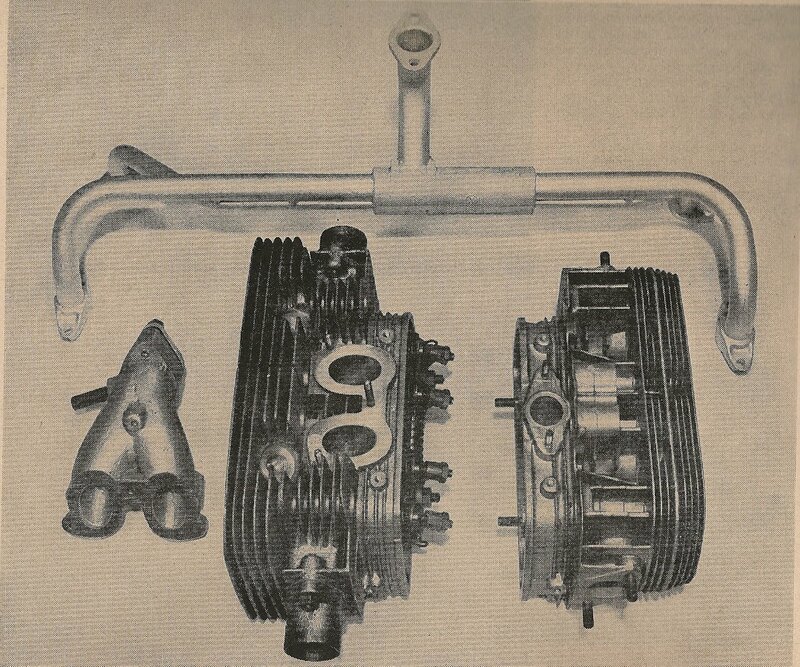 Imported to the US by European Motor Products Inc. and built by Revmaster Inc, both in California, the Denzel kit (heads, rocker arms, lifters, carbs and engine tin) should jump horsepower from 36 to a healthy 54...for the power-thirsty, an EMPI 69,5 mm crank would rise displacement to 1300ccm and the stroked engine to a whopping 60hp.. Throw in a longer duration camshaft, bigger carbs and even higher compression, and 85 horsepower was reportedly possible....! One can only wonder what influence Denzel tuning kits would have had on the vw tuning industry if Wolfgang Denzel had not started to work for BMW shortly thereafter......? Comparison of the Denzel head and the stock vw-head...bigger is better ;-) One can clearly see similarities with this early performance head and the racing heads availlable today..